Today is Kevin's birthday but he does not want to go out! 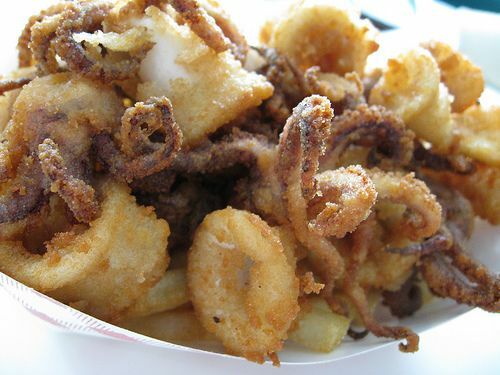 He just has too many homework to do and plus he has a group study at 7:00Pm so he requested fried calamari for Dinner. 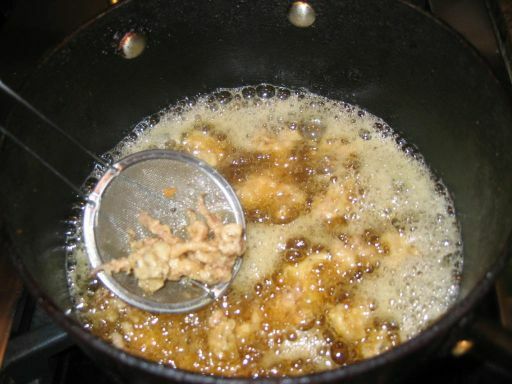 Fried Calamari is very easy and fast to make as long as you use ready to use frozen calamari that are already cleaned and ready to use..
As soon as the calamari comes out the fying pan, you have to add salt right away if not the dish will be very bland. 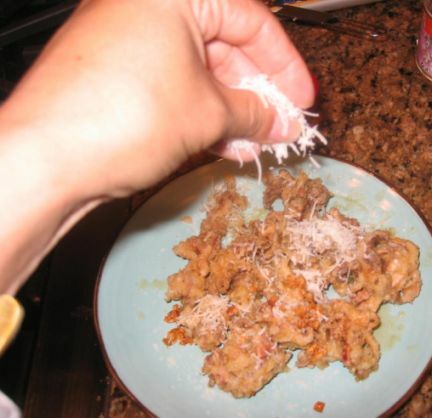 I also added some grated Parmesan cheese and fried garlic to add more flavor to the dish. 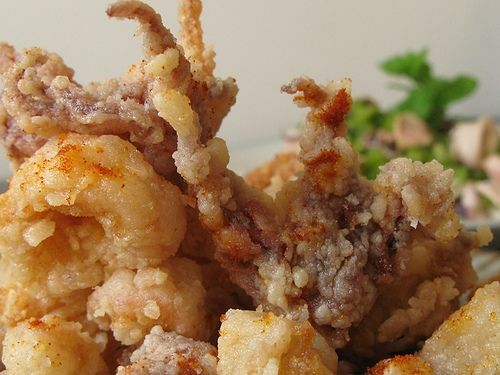 Close up at the fried Calamari. 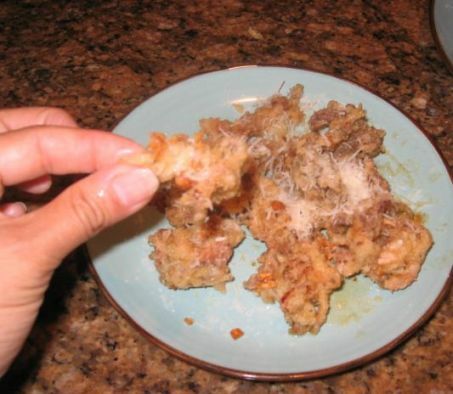 Aren't they yummy? 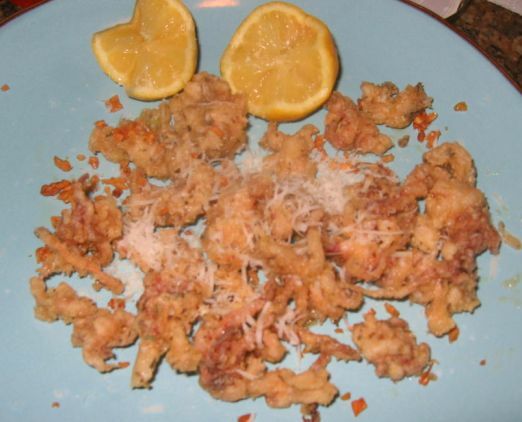 Basically all you need to do is to defrost the Calamari, cleaned it and then dipped in flour. 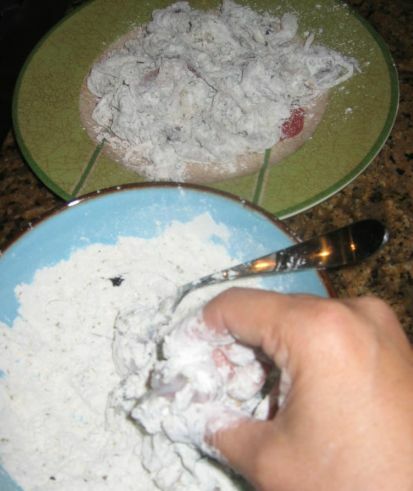 The flour is seasoned with salt and dry oregano. 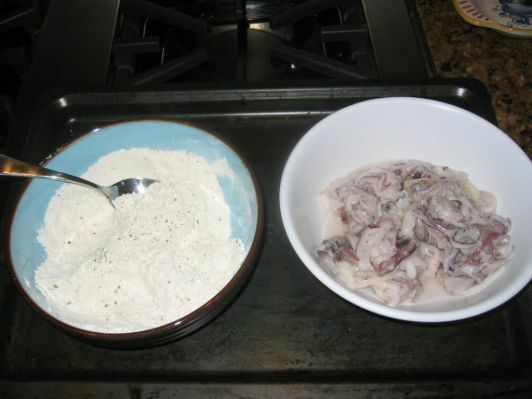 Dipping the calamari into the flour.